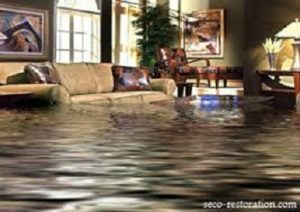 Because water damage restoration and repair is an emergency business, ServiceMaster Restoration by The Griffin Company is on call around the clock, ready to serve Daphne, Fairhope, Foley, Mobile, Spanish Fort, Orange Beach, Gulf Shores AL and all surrounding communities. In most cases, we can be at your site within two to four hours. We provide these emergency services 24 hours a day, 7 days a week, 365 days a year in Mobile and Baldwin, Alabama Counties and other surrounding areas. Please call us at 251 473-7766 so we can help. We service customers in Mobile, Theodore, Prichard, Eight Mile, Saraland, Satsuma, Irvington, Grand Bay, Bayou La Batre, Semmes, Daphne, Fairhope, Spanish Fort, Point Clear, Foley, Gulf Shores, Orange Beach, Loxley, Stapleton, Elberta, Seminole, Lillian, Magnolia Springs, Bon Secur, and Perdido Keys. We strive to provide the best possible service in Mobile and Baldwin County. Our trained technicians will explain the recovery process and provide a comprehensive water recovery guide that outlines the ServiceMaster Restoration by The Griffin Company steps and the homeowner’s responsibilities. © 2015 ServiceMaster Residential Commercial Services L.P. All rights reserved. Brand names are registered trademarks of The ServiceMaster Company, LLC and its affiliates.